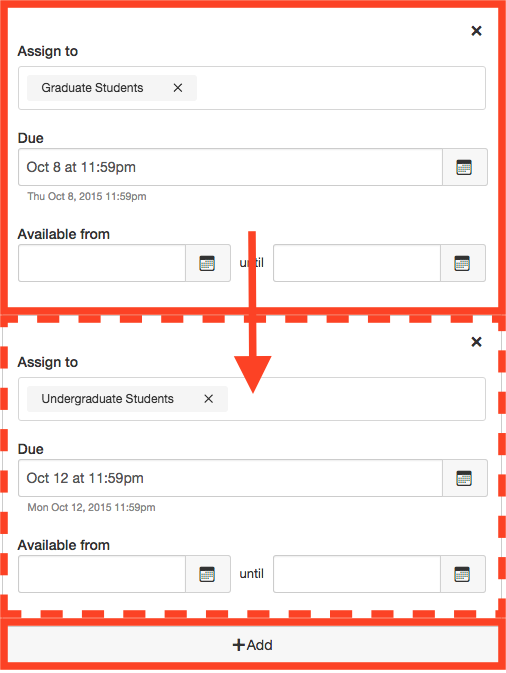 Canvas How-To: Enabling Conferences for online office hours, recording class sessions, etc. 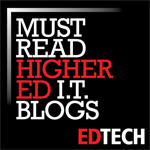 Continuing our how-to series, this post will cover the topic of Conferences that allow instructors (and students if enabled) to use audio and video web conferencing within a Canvas course. 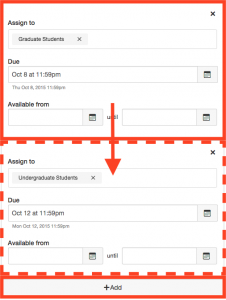 The instance at the University of Oregon uses BigBlueButton. 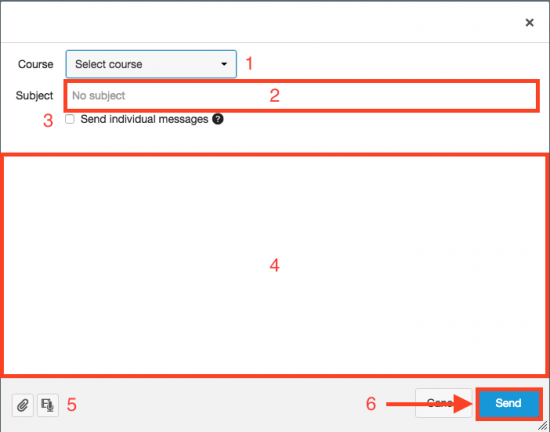 Conferences are enabled by default whenever a course shell is created in Canvas. If it is not visible in your course shell, it is most likely hidden from the primary course navigation menu: click here for more on that. Any conferences can be saved and are made available to those in your course for two weeks afterward. Click on the tutorial video above from Canvas for more information. For more general information on Canvas and its other features, check out the overview documents from CASIT. In today’s installment of our Canvas How-To series, we will cover course sections which will help to differentiate assignments between groups of students. This is especially useful in a blended 400/500 level course (undergraduates and graduates in the same course) but it can be useful in assigning groups for larger projects or for any other reason you decide. In short, sections help to organize your students in a way to help with issuing assignments and group work, and making grading easier for differentiated assignments. 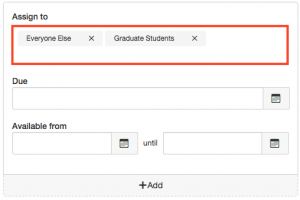 Assign students to those sections. The first part is a matter of a few clicks, the second takes a little more time but it will save you time in the long run. 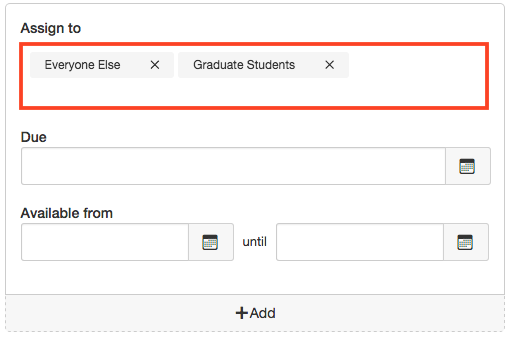 Then in the form field, type in the name of your new section(s), then click Add Section. 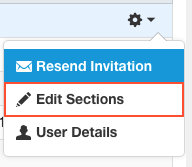 Note: These section names can be edited at a later date by hovering over the list of created sections then clicking on the pencil icon. Go to the People page. 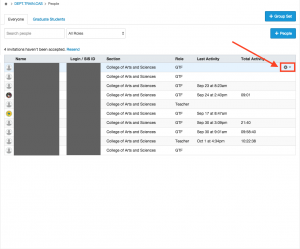 This will show all of the students enrolled in your class. To add a person to one of your sections, move your mouse cursor over the person’s name and a gear icon will appear on the right-hand side of that row. Then, type in the name of the section you would like to place them in or click on the book icon to pull up any available sections from which you can then select. Click Update to proceed. 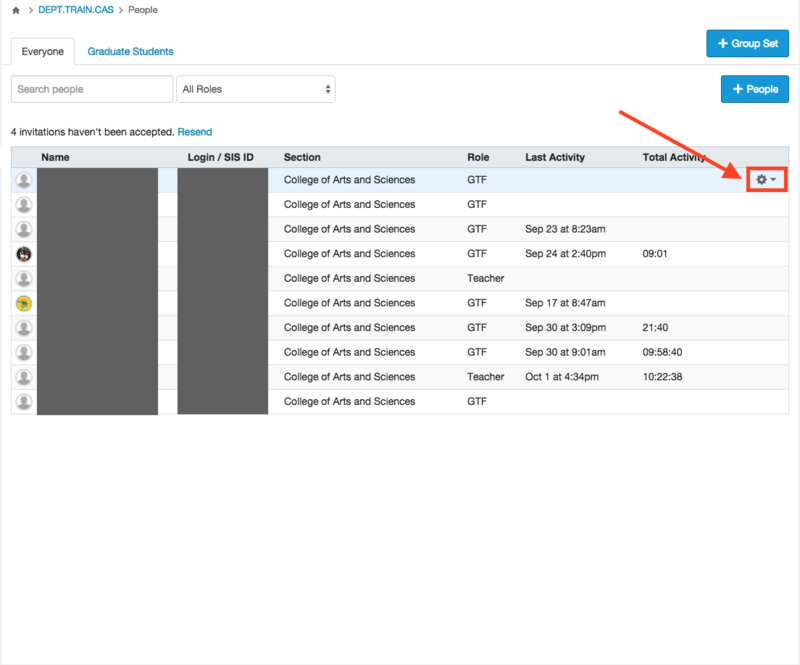 After your sections have been created and filled, you will then be able to do a couple things much easier than you could before: differentiate assignments and grading. When it is assigned to one section, the other students not in the section will not have it counted in their grades. Can some of this be done automatically? In some cases, when classes are blended under one CRN (e.g., first-year language courses with multiple instructors, etc. ), sections can be made from individual CRNs when combined with other CRNs. Please consult CMET at the UO Library for more information.